Ice buckets are so much hassle that people rarely use them at home, so the quality of their wine gets worse with every glass. Even when they are used they are far too cold and the over-chilling numbs the flavours and aromas that you value in a wine. 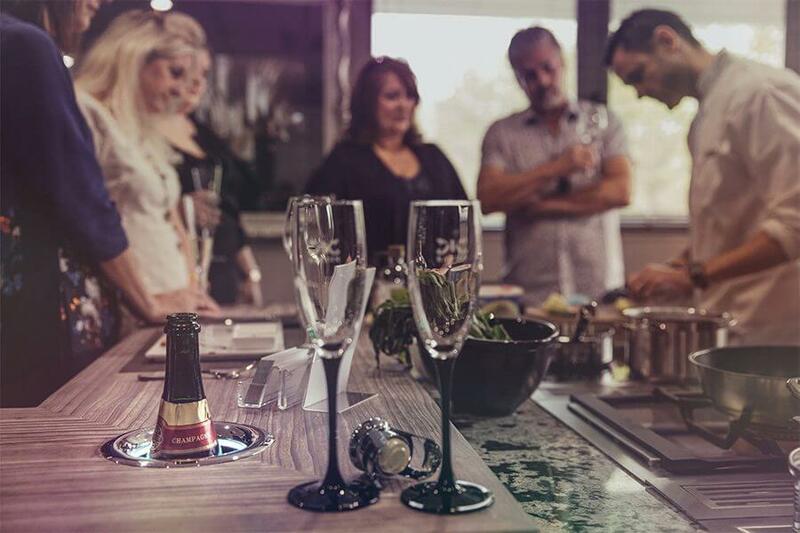 Kaelo keeps the bottle at just the right temperature and ensures you can enjoy your white wine or champagne just as their makers intended. One touch activates and cools the Kaelo, so it is immediately ready for a chilled bottle. No preparation needed, no waiting time required (and the shortest user manual you’ll ever read). Kaelo uses electricity, and nothing else, to create a cold-air jacket so the bottle remains chilled and dry. There’s no need for ice, water or refills, so there is no mess or maintenance. Kaelo is all about enjoyment so there’s a 360° halo illumination at the top of the chamber that gently lights the bottle – tap the crown three times and you can choose your favourite from 27 different colours. 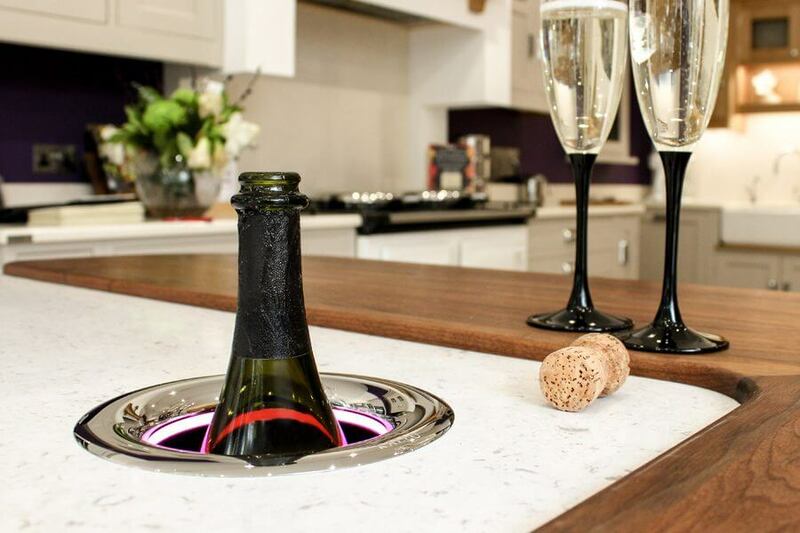 Kaelo can be easily integrated into any surface, from a kitchen worktop, to a bar. No specialist installation required, a hole and a power socket is all that is needed. We’ve even worked with furniture designers to integrate Kaelos into sofas, sideboards and tables. The free-standing Kaelo is even easier – no installation required, just plug it into the mains and it’s ready to go. Designed in London and hand built by master craftsmen in the Cotswolds, each Kaelo is individually tested and must have perfect performance and finish before being signed off by its maker. Every Kaelo comes with a 5-year warranty for complete peace of mind. Kaelo is super energy efficient, which means it uses less power than a 60-watt lightbulb, doesn’t generate any CFCs and there are no refillables. Finished using Kaelo? It switches itself off to save energy and because it doesn’t need ice there’s no water to waste. We think everyone will love their Kaelo, but just in case you decide it’s not for you, we have a 60-day money-back promise – if you don’t like it, for whatever reason, send it back to us for a full refund. We’ll even pay the return postage.